Deck is the portion which carries all the traffic. The portion which supports the deck slab and girder and connects one sub structure to the other. 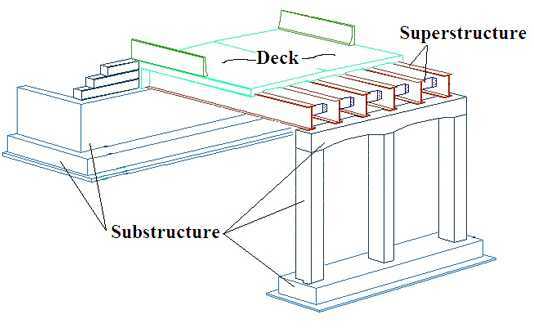 That means all the elements of the bridge attached to a supporting system can be categorized as superstructure. The parts of the bridge which support the superstructure and transmits all the structural loads of the bridge to the foundations. For example piers, abutments etc. Foundation is the portion which transmits loads to the bearing strata. Foundation is required to support the piers, bridge towers, portal frames. Generally, piles and well foundations such as H-pile, bore pile, pipe pile or precast concrete piles are adopted. 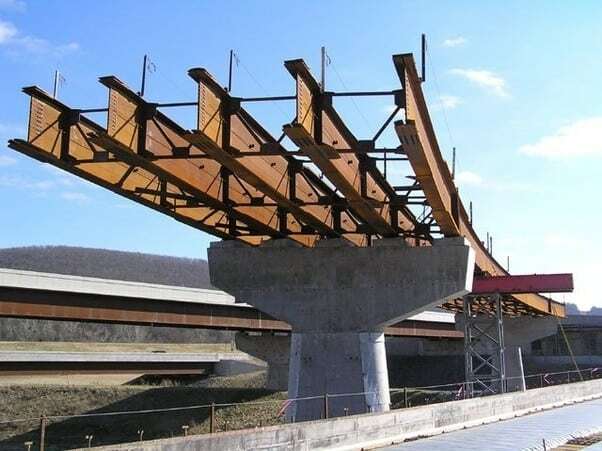 Beam or girder is the part of superstructure which bends along the span. The deck is supported by beams. It is the vertical supporting part used for cable stayed or suspension bridge. 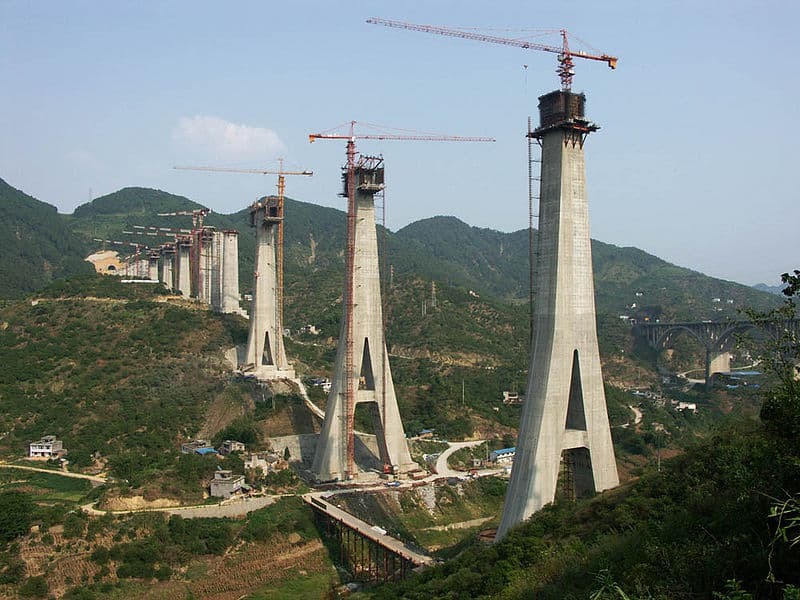 High strength concrete and Insitu method are adopted to construct the bridge tower. Pier cap is the topmost part of a pier which transfers loads from superstructure to the pier. It is also known as headstock. It provides sufficient seating for the girders and distributes the loads from the bearings to the piers. Pier is the part of the substructure that supports the superstructure and transfers loads of super structure to the foundations. 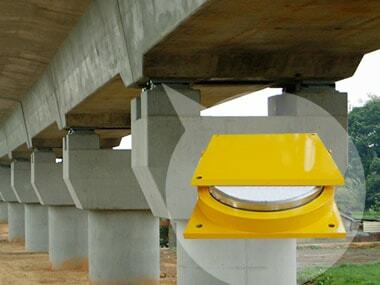 Pier is suitable for spanned bridges with maximum width of deck up to 8 m (2 traffic lanes). The shape and size of pier mainly depend on aesthetics, site, space and economic constraints of the construction. 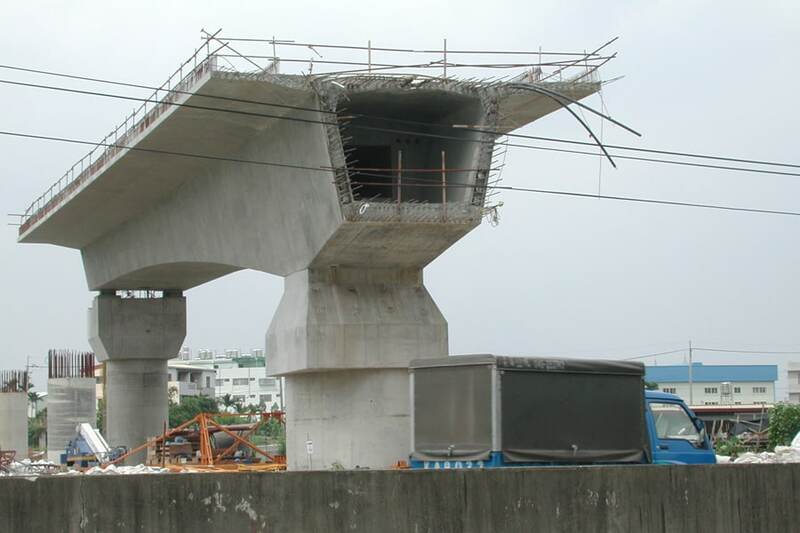 Usually, bridge pier is constructed by in situ method with large panel formwork. Bearing is a device which supports the parts of superstructure and transfers loads and movements from the deck to the substructure and foundation. The main purpose of providing a bearing is to permit controlled movement and decrease the stress involved. Pile is a slender member driven into the surrounding soil to resist the loads. Pile cap is a thick reinforced concrete slab cast on top of the group piles to distribute loads. 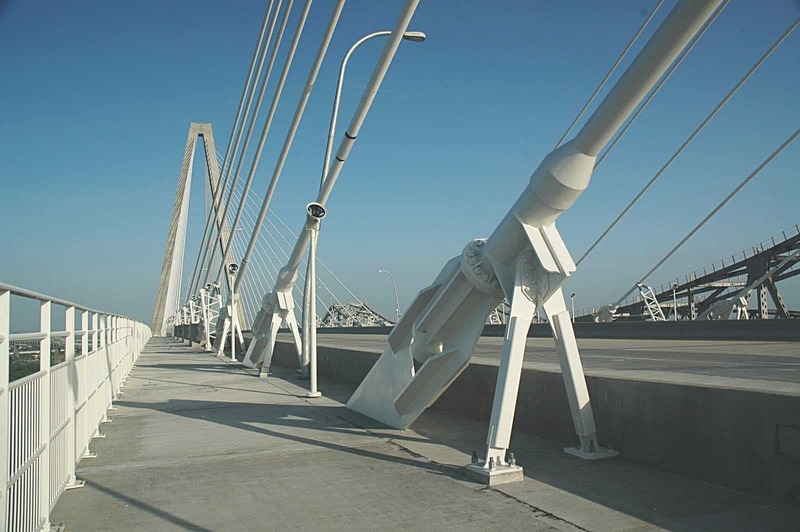 Bridge anchor is only used in suspension and cable-stayed bridges to resist the pull from suspension cable or counter span of the bridge. It is used in suspension and cable-stayed bridges for the hanging, supporting and counter balancing of the bridge deck. 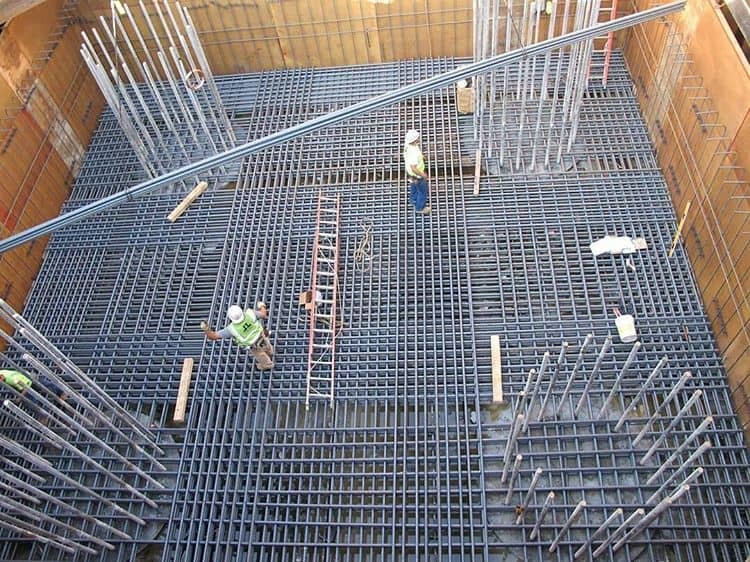 Also Read – DIFFERENCE BETWEEN PRE-TENSIONING AND POST-TENSIONING. It is more interesesting information for civil engi and so i wants to inter in to you group. I seriously feel like you should have added a video as well for deeper knowledge. While in the picture you should have marked the names which you are describing about.